The existing house, originally built in the early 1980s, hadn’t had any major updates other than paint and carpet and the odd appliance. The client approached us to find a way to open up their kitchen and dining areas. The major requirements were to have an island with seating, a dedicated dining space that was open to the kitchen and a larger bar for entertaining accessible from both kitchen and dining space. 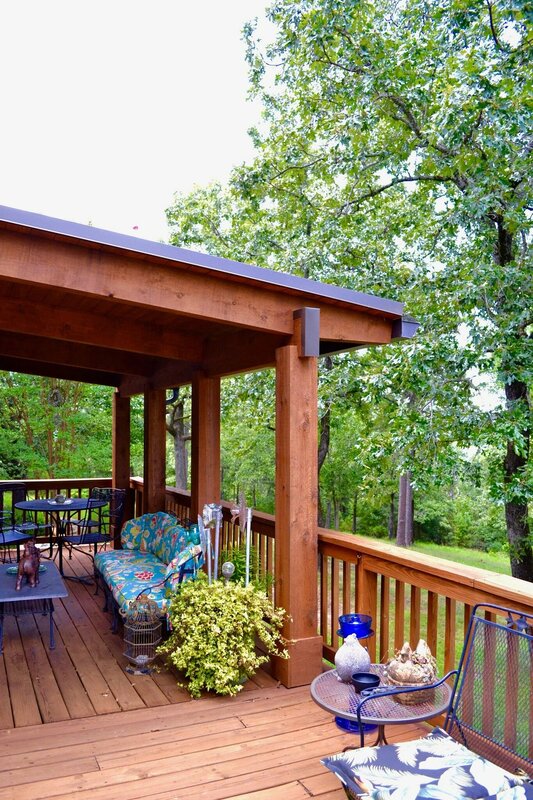 The solution was to remove a wall separating both spaces to take advantage of a much larger space with views to Pinnacle Mountain and the rear 5 acres of the property which is heavily wooded and sloped. Lastly we added a covered porch roof designed in such a way as not to disrupt any of the views. The client was incredibly easy to work with, allowing us to propose ideas out of their normal comfort zone and we couldn’t be happier with the final result.